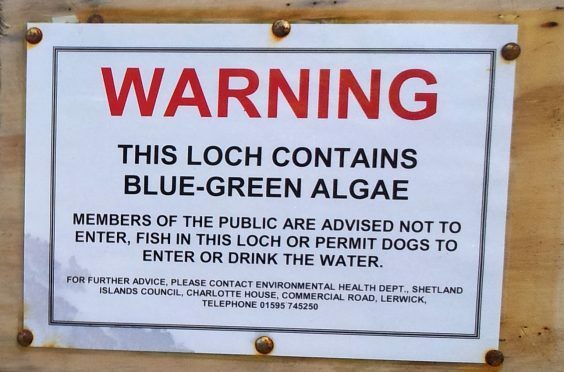 Environmental health has received notification of a suspected growth of blue green algae at Loch of Clickimin in Lerwick. It is hoped that laboratory confirmation will be received within the next 24 hours, but precautionary measures have been put in place. Notices will be posted at footpaths next to the loch warning that contact with the algal scum should be avoided. Adjoining landowners have been advised of the situation, as have the Scottish Environmental Protection Agency, NHS Shetland and Shetland Anglers Association. At this stage there is no adverse effect on water supplies.